This is why Thailand is called Amazing Thailand! Keep watching and you shall see. I really like the song and she sings the song really well. I particularly like the interview after the song when she mentions that her father used to hit her, when he tried to correct her sexuality. Despite the objection, she still wants to tell her dad of her accomplishment. I am sure that after all she makes him proud. Here is my translation of Win Lyovarin’s “The Drama in the Black and White Room.” It is a part of a collection of short stories which won the Southeast Asian Writer award back in 1999 (S.E.A. Write Award). The translation was a part of my graduate work and it is intended for non-commercial use only. 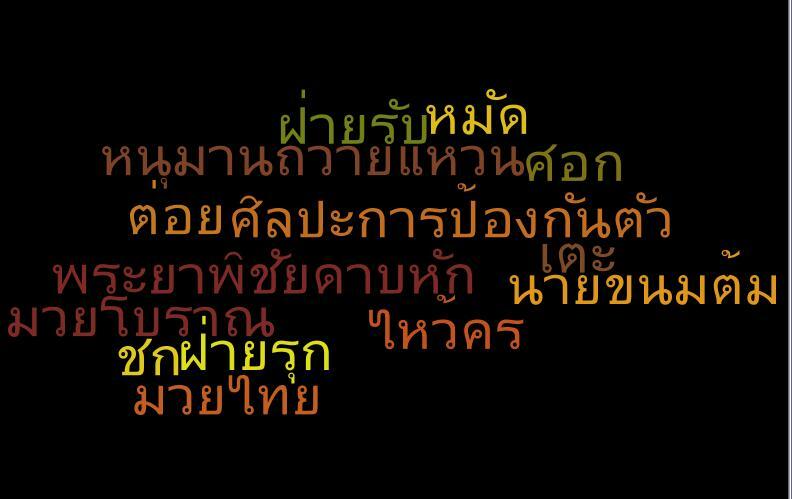 Mr. Lyovarin is my most favorite Thai author. The story depicts the cosmopolitan Bangkok. The story brings you to crossroad of traditional Thai societal norms and sexuality. Comment on the translation will be much appreciated. Continuity is key to learning a new language. ความพยายามอยู่ที่ไหน ความสำเร็จอยู่ที่นั่น– Where there’s a will, there’s a way. 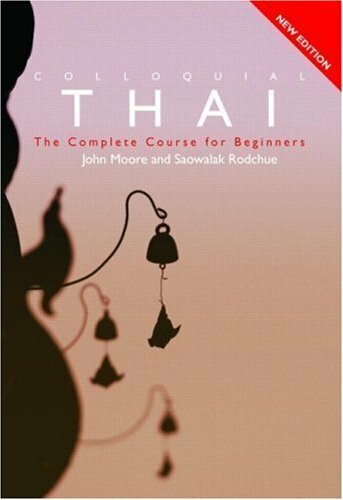 I have been thinking about Thai students that I have taught over the past five years and one word best describes the successful students–continuity. Learning a new language when you have limited exposure to the language can pose a challenge. Your only exposure might be the Thai restaurant in your neighborhood where the wait staff might be busy to talk to you more than taking your order. 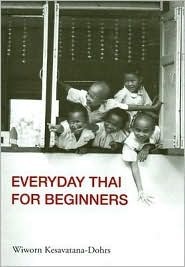 My recommendation to learning Thai when you are not in Thailand is to keep at it. You definitely should find yourself a good teacher, find resources outside of your lesson and be disciplined. 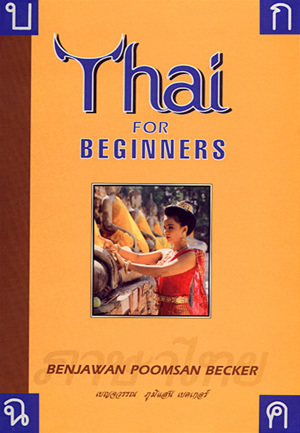 The goal to become proficiency in Thai reading and speaking is surely obtainable within one year or less, with only a lesson a week. I have seen countless students do it and so can you. Auspicious fillets worn as a head piece. It is typically removed before a fight. This is why Thai advertising industry always wins many awards. It just conveys the message with a great sense of humor. Reigning as the most authentic Thai food in the New York City area is Sripraphai in Woodside, NY. However, many newcomers and old-timers are thriving in NY area as well. 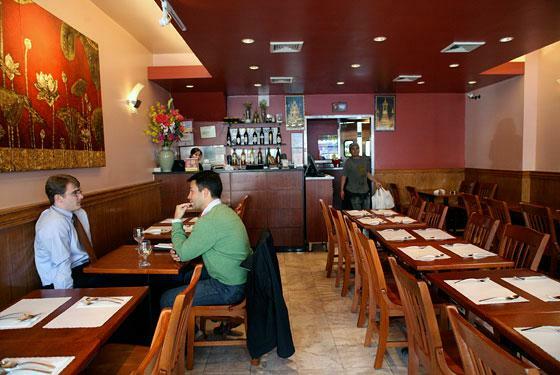 Here is a list of noteworthy AUTHENTIC Thai restaurants in NYC. Great Pad Thai, Great Staff– I am a fan! 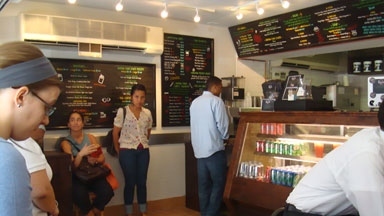 I have always liked food at Rhong Tiam since the first one opened near NYU library. Though my life does not allow me to venture to its several locations in the city before they open this location, food at Rhong Tiam ranks pretty high on my Thai standard. The Thai food there is cooked as a hotel-style in Bangkok as the name suggests the word Rhong Tiam means hotel. There is a certain nostalgia when you mention the word to a Thai person also; it is not just hotel where you go to stay, but it is a place where good food is served after you just come back from a long journey. I can almost picture myself as a well traveled Chinese warrior stopping by for a quick bite. Though the new menu for this location adds several items that caters to the health-conscious crowd, they still have the Thai popular selections. The Pad Thai was brown and only slightly sweet as it should be. It seems that the place open late so I can’t wait to go back to check it out. 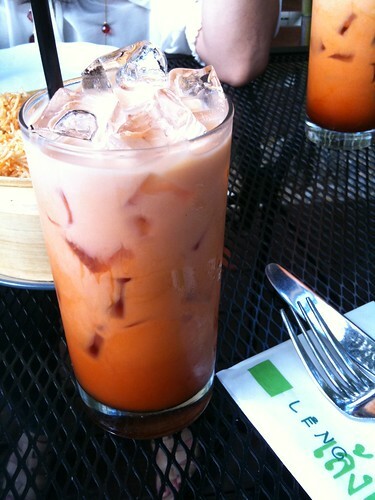 First of all, it is difficult to come by any authentic Thai restaurant in Manhattan area. Not that I have anything against Thai/Asian fusion food with a beautiful decor , but hey I am Thai so I search for food that reminds me of the motherland. Wondee Siam II does a wonderful job in satisfying my craving when I am in the city. Ask for the secret Thai menu if you can read Thai and you should find items that are really authentic including some Northern and Northeastern Thai dishes that you don’t normally find in other places. If you feel adventurous, try asking the waitress to spice up your Thai food (the only way it should be eaten). I tried ground chicken stir fry with basil, topped with fried egg (Khao Pad Kra Phao Gai)and my childhood memories came flashing back. I think the majority of food I tried here has been cooked according to Bangkok standard and the service is prompt so I highly recommend this place. Pad Kee Mao (Drunken Noodle) here is beyond my fantasy. First of all, I live in the opposite side of Queens but I am willing to drive half an hour to go pick up the food from here. I normally ask them to cook it really spicy that my predicament will be that the food hurts so good but I cannot stop myself from eating it. The ambiance is serene that I just want to lounge there for hours. If you go during the day, the relaxing ambiance reminds me of being back working on my translating jobs while sipping a cup of coffee in Chiang Mai, Thaiand. The plus size of this restaurant is its generous portion. Of all my time living in the US, this restaurant gives me the most amount of food. It seems that typical Thai restaurants seem to charge you American price while giving you Thai portion. So what are you waiting for? Go ahead and check this place out.